We are betrothed in providing Wooden Timber. Quality professionals also check the quality on varied quality parameter. To furnish the ever-increasing desires of our clientele in the best possible way, we have been instrumental in offering high quality of Wooden Timber. With the help of our expert team members, we have been able to offer a wide range of CP Teak Timber. Capitalizing on the ability of our skilled personnel, we are keenly instrumental in delivering a comprehensive array of Indian Timber. Wooden Timber is one of our best products being offered by us to our customers. SURANI Timber Industries - Wholesale Sellers of imported timber wood & Indian timber wood since 1947 in Mumbai, Maharashtra. Backed by the years of experience and knowledge, we are engaged in supplying an exclusive array of Timber in Mumbai, Maharashtra, India. 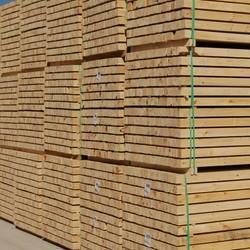 The entire range of timber is source from trusted and reliable sources of the market. This is obtainable at most competitive rates. Empowered with a team of ardent personnel, we are intricate in offering a best quality of Timber Logs to the prestigious clients. Supply quality raw timber from traditional timber-rich sources like malaysia, india and burma for distribution throughout the asia pacific. 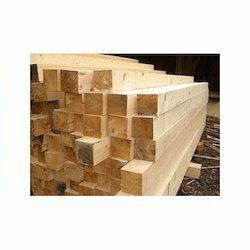 We have Hardwood timber & logs for export. We also sell sawn wood, as you have noticed on our photo, and our delivery time is fast. Just give your command and dimension, and we shall do the rest. Canara manufactures timber cross flow cooling towers with vide varieties of splash fills. Poor water quality problems are no problem with cross flow timber cooling towers. Being a commended and applauded business firm, we are exquisitely occupied in offering to our customers a top class assortment of Tanzania Teak Clean Cut Sawn Timber. Raj Rajeshwari established in early 1950, takes great pride in informing that the company is one of the leading importers of timber i.e. teakwood, pinewood, redmeranti, Burma teakwood etc .